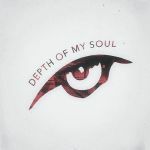 Review: Nat Wendell launches the Depth Of My Soul label with a confident slab of deepness that should draw plenty of heat on the peaks and troughs of the house music landscape. "The Way" is a crisply produced pumper, revolving around a seductive little lead line and the haunting titular vocal hook - there's a whiff of tech in the make up of the track, but the groove is all house. "Theoretics" follows down a similar path, keeping things moody and mechanical without disposing of the funk, and then it's down to "Release Your Soul" to bring a little light into proceedings with some mellow keys and dubby flourishes.